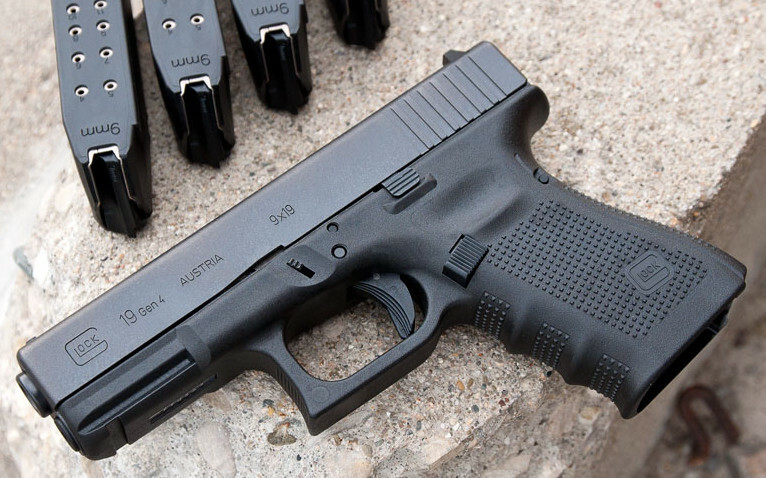 Over the years, the Glock 19 firearm has undergone several changes. 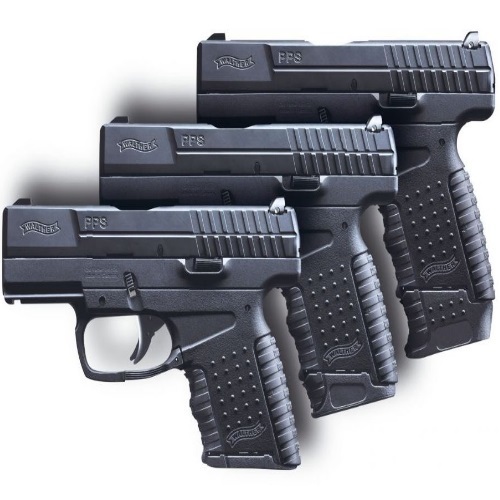 There have been four separate releases of the Glock 19, such as the Glock 19 Gen 4, with the most recent one being introduced in the middle of 2010. Glock fans have long since applied the term “generations” to the releases, in order to describe these various incarnations of the Glock firearms. With the release of the fourth generation of Glock 19s, the company accepted the term as an inseparable part of the Glock’s heritage, and chose to emblazon the words ‘Gen 4’ on their newest batch of handguns. The latest version of the Glock 19. The Glock 19 has not radically changed since its introduction in 1988 – although a lot of people do change their Glock’s up with accessories or modifications. It is still made of nylon-based polymer-2 and steel, still retains the same basic shape, and still holds the title of one of the most popular firearms in the world. There were, however, some differences between the releases, and one way of telling them apart is by inspecting the Glock 19 finishes. Different finishes were applied to the slide and barrel of the firearm at different points in time. Firearm finishes may not affect the performance of the gun – at least not with any standard finishes – but they do change the way the gun looks. For some, this makes a difference. This is one aspect of carrying a firearm that not everyone agrees on. For some, it isn’t only about the functionality of the weapon, but also about looks. To others, the gun is simply a tool, meant to do a job. They choose to use it as one. According to them, so long as a gun does its job, and fires a round when it is supposed to – looks take a back seat to functionality. 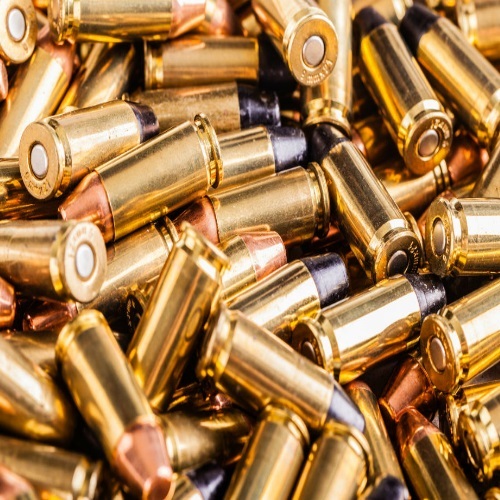 Generally speaking, as long as a gun is maintained properly, its finish will probably not be affected in any serious way; certainly not in any way that affects performance. Many confuse the gun’s metal treatment with the gun’s finish. These are two separate terms. A treatment is, for instance, Tenifer. Contrary to what many believe, Tenifer is not a finish. It is, in fact, a heat treatment which the gun’s steel undergoes, and which hardens the steel and protects it from corrosion, heat, and wear. Tenifer is even effective to a certain water depth. A treatment is applied before the finish. 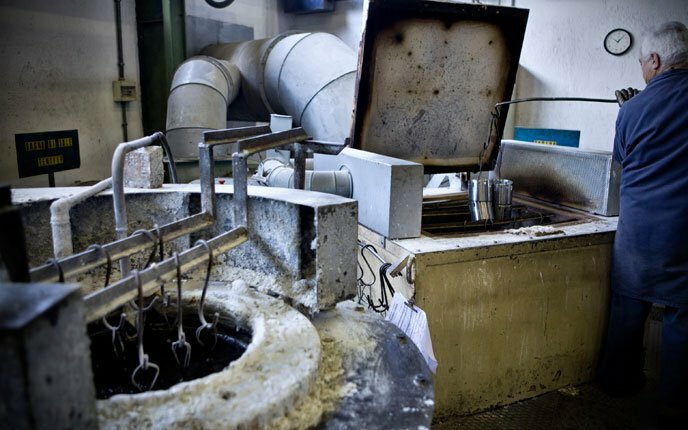 The gun’s finish is exactly what it sounds like – the final procedure which the gun undergoes, and which ends the manufacturing process. Contrary to popular belief, tenifer, is a treatment, not a finish. 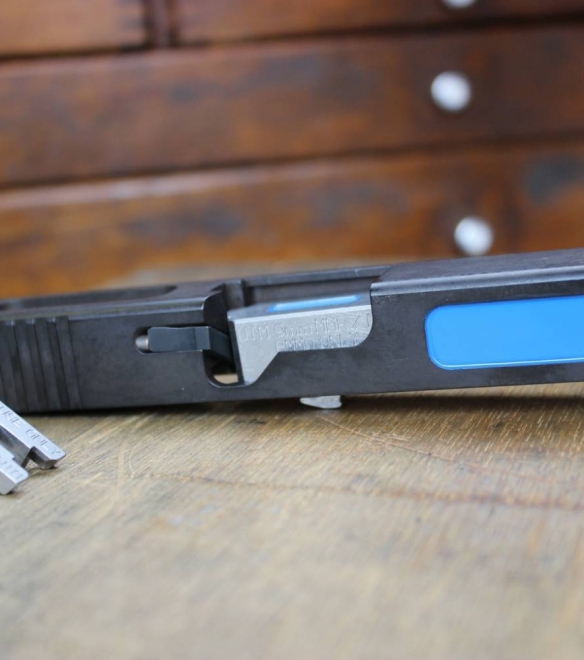 As far as the Glock 19 is concerned, it had always been treated with Tenifer – until 2011, when Glock USA converted to an alternative heat treatment named Melonite. This was done after the EPA voiced concern over the chemicals used in the Tenifer process. Essentially, Tenifer and Melonite are the same thing, yet there are some users which state that there is a noticeable difference. Once an appropriate treatment has been applied, a finish (or coat) can be added. In the case of the Glock 19, the original Gen 1 and Gen 2 were finished with a Parkerizing process. Parkerizing is otherwise known as phosphate conversion coating, and its primary purpose is to provide more protection against corrosion and wear. Parkerizing is done on rough surfaces, and its finish is matte. Other examples of finishes are black oxide, cold bluing, and hot bluing. These are alternatives to Parkerizing, and while they do offer some advantage as far as appearance goes, they do not differ much in terms of functionality. The original finish on the first generation of Glock 19s, which were introduced in 1988, was a rough, non-glare, gray finish. The second generation, which was also introduced in 1988, had the same kind of finish. The Glock 19 Gen 1 was a transitional handgun, and not too many of them exist. They are considered a valuable collector’s item. Most of those claiming to own a Gen 1 are actually proud owners of a Gen 2. The generation which introduced an entirely new finish was the Gen 3, which was released in 1998. The Gen 3’s finish is reminiscent of black Teflon. 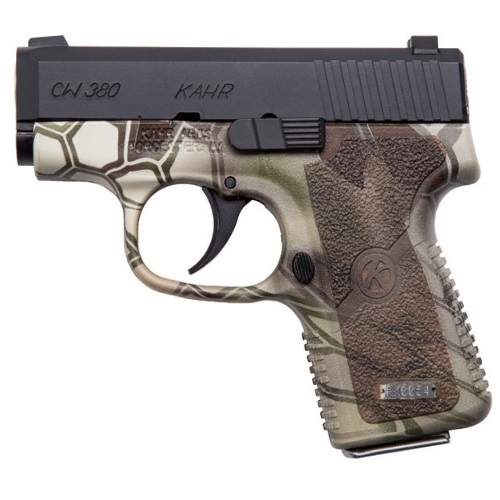 It is a lot slicker and shinier than the previous models, and some users claim that because of this, it is a harder gun to get a good grip on. The debate on the Gen 3 finish is a long one, and it still continues to echo through various forums. With the Gen 4, Glock decided to revert to a finish which closely resembles that of the older, non-glare, Parker-like finish. Since then, Glock has been using the new Gen 4 finish for newly-produced Gen 3’s as well. The barrel and slide finishes are the most noticeable differences between the Glock 19’s. Finishes are not only given to the slide, but also to the barrel. Sometimes the finishes coincide, and sometimes they differ. At any rate, the barrel’s finish is always an aesthetic one. The barrel’s finish wears off with time and usage, and no additional refinishing is necessary. Lubing up the gun and maintaining it are what keep the inner parts from rusting or breaking down. This is why a slide may be refinished, but it would be best to avoid doing so to a barrel. Even after the barrel’s outer finish wears away, the Tenifer treatment keeps the steel at tip top shape, and in perfect condition. Regardless of the finish, everyone agrees that the Glock 19 series is a hit. Glocks of all makes and generations are continually sold and used, worldwide. It is no wonder. When Glock first introduced the model 17 in the early 80’s, it was hailed as a masterpiece of a weapon. Since then, changes were made and improvements were implemented, but essentially Glock’s claim to fame remains, although the 17 vs 19 debate rages on. Glock’s 19 model is an accurate, reliable, sustainable handgun, which is easy to holster, operate and maintain. From seasoned professionals to first-time shooters – the Glock is a gun fit for anyone. This “EPA” crap never dies. No one ever posts proof. My G19 Gen 4 is a personal firearm and G17 Gen 4 is duty carry. The 17 has been in and out of holster with no wear on it like 19 which has not been in and out holster as much and has wear. The 17 and 19 was just got not long ago. The 23 I have had long time. Don’t know how one glock of same generation can show more wear than another of same generation.